Cebu Pacific Promo Fares 2019 to 2020: 50% Off Sale! Give HALF on Christmas Day! 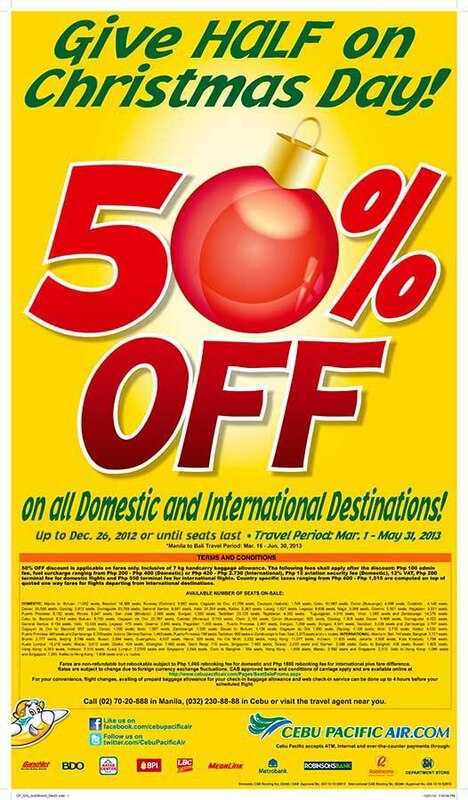 50% Off on all Domestic and International destinations, starting NOW! Log on to http://www.cebupacificair.com/ to book your flight now! Please don't forget to read our seat sale terms and conditions. See you on-board, everyJuan!